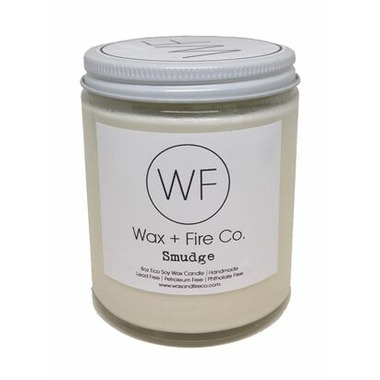 View all products by Wax + Fire Co. This scent is so fresh and clean- and a fantastic way to clear negative energy without smoke! The fresh, woodsy, smokey. green scent of White Sage and Cedar is so divine. This is a wonderful candle to burn regularly, for a calm environment, great for meditation. Handpoured. Clean Burning. Reuse the jar - just soak the jar in soapy water! Approx 35 hours burn time. Made from 100% soy and essential oils. Lead Free. Vegan. Petroleum Free. Burns excellently. The scent is very strong, smells 'clean'.